Meet The Team! — Grounded Paws Animal Rescue Inc. Grounded Paws is run by 2 dedicated couples donating their time to providing a better world for cats. We call them... "The brains" and "The brawn". Shannel founded GPARI back in November 2013, taking the groups very first death row rescue "Catty". Next came the mum and litter of kittens on Christmas eve and from there it never stopped! She currently manages the group alongside Caity and also fosters cats and those requiring extra medical and nursing support. She is a qualified Veterinary nurse and has worked in the industry for nearly 3 years. She has 3 naughty ginger cats (Chester, Memphis and Daisy Blue) at home who also keep her busy! Caity came on board in early 2016 and assists in managing the group alongside Shannel. Her first 2 fosters were a young brother and sister duo who soon became permanent family members. 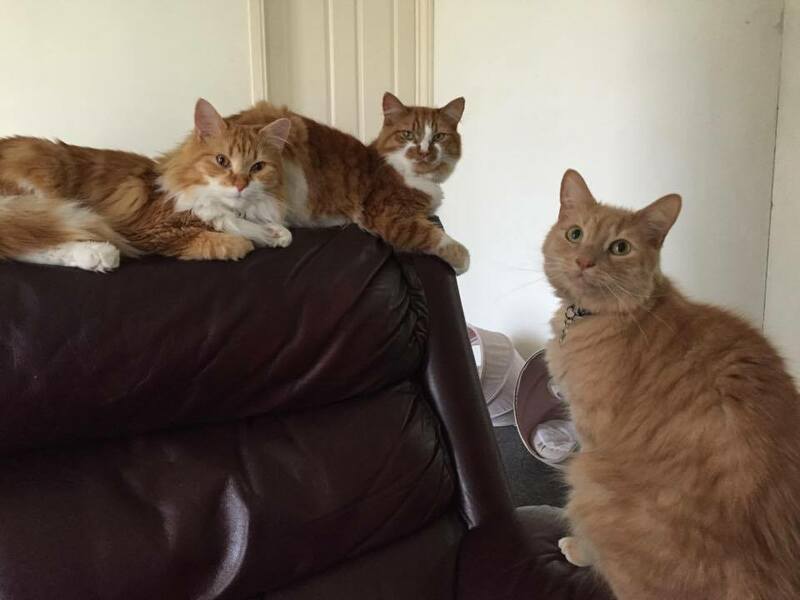 Ali, Astro, Strawberry and Nala are the furry faces that keep her on her toes! Caity specialises in care of mothers and litters and neonates raising them with love and care. As a wedding planner she is always organised and making sure everything is in check. Finn and Rhyse are the partners of Shannel and Caity (respectively). They do all of the heavy lifting and moving of equipment when needed. They regularly attend (...are dragged) to adoption and public days. At times they also act as kitty whisperers for our more un-socialised cats. The occasional litter box is always the hardest part of the job, but with bravery they do it well. In reality they are very supportive, patient and caring for the organisation.